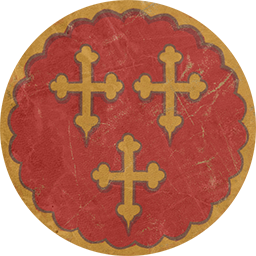 The Lombards have endured hardships and trials to become powerful, founding their kingdom atop the crumbling Western Roman Empire in Italy. Their journey has not been an easy one. Having fled across Europe from the relentless Huns and the freezing weather, they found relative safety in the west. Later, they watched as Emperor Justinian attempted to reclaim Italy from the Ostrogoths. Seeing opportunity, the Lombards overthrew the meagre Roman garrison, establishing a capital at Pavia in AD572. 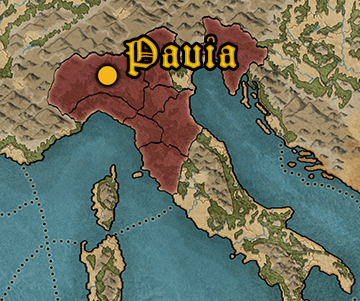 After that, most of northern and central Italy fell under Lombard control whilst the Imperial remnants, known as the Exarchate of Ravenna, clung to the coastlines. The Romans were able to survive because the Lombards languished in a power vacuum for a decade. However, when Autari was subsequently crowned king, a new era of unprecedented peace was ushered in, enabling him to consolidate royal power hitherto held by the powerful, virtually autonomous Lombard dukes. Now, Desiderius has ascended to the Lombard throne, inheriting a powerful kingdom that faces fresh new challenges. Civil unrest and aristocratic dissent are brewing, whilst the Papal states grow bolder with backing from the ever-hungry Franks. Yet the Lombards have endured for centuries and forged a path where other kingdoms have failed; their future will be no different! The Dukes of Lombardy rule their territories with more than a degree of autonomy; in return they enact the king's will. Originally from Scandinavia, the Lombards are a Germanic tribe who settled in northern Italy and converted to Christianity during the 7th century AD.